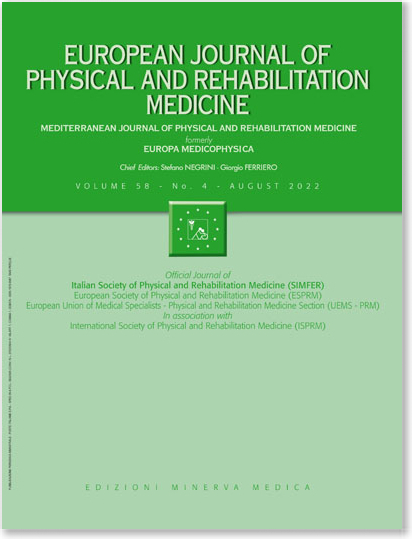 BACKGROUND: Predicting functional recovery of patients is key for setting the objectives of the rehabilitation programme and making decisions on their destination on discharge. Many variables have an impact on disability and quality of life after stroke, including patient age, comorbidity, severity of neurological deficit, state of mind and social risk. Accordingly, it is also essential from a care perspective to optimise the functional recovery and efficiency of rehabilitation programmes, exploring their relationship with these variables. AIM: To analyze the efficiency of post-stroke rehabilitation, identifying factors that most strongly influence functional recovery and destination on discharge. DESIGN: Multicentre prospective cohort study. METHODS: Collected data on sociodemographic characteristics, social risk (Gijón Scale), comorbidity (Charlson Index), neurological severity (National Institute of Health Stroke Scale), daily living functioning scale (Barthel Index), length of hospital stay and destination on discharge. RESULTS: We included 241 patients, with a mean stay of 35±22 days, 81.5% returning home on discharge. On admission 45.2% were totally dependent, and this figure fell to 12.8% on discharge, the mean Barthel Index score increasing by 32.5 points. Neurological severity, hemiparetic severity, impairment of deep sensation and trunk control on admission were the mayor variables influence on rehabilitation efficiency (P<0.001). Destination on discharge was most closely associated with civil status, social risk and Barthel Index score (P<0.001). The likelihood of transferring to residential care is 3- and 2.71-fold higher among patients with total dependence and high comorbidity scores, respectively. CONCLUSION: Many variables influence on outcomes of stroke inpatient rehabilitation. CLINICAL REHABILITATION IMPACT: Comprehensive assessments are required to predict patient recovery, efficiency and plan for discharge.